Since I don’t do much posting on this blog any longer I’m very late with this, but listening to my man Matthew Africa and his man DJ B.Cause‘s Soul Boulders 2 mix the other day reminded me to post this. 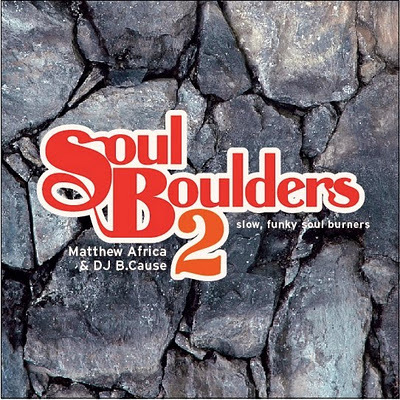 If you heard the first Soul Boulders joint a few years back (2005 to be exact) you can rest assured that this is more of the same- “slow, funky soul burners” indeed. Read more about the mix and get info on how to purchase it (yes, purchase it… support the music if you like the music so maybe you might get more of the music, nahmean?) by going to Matthew’s blog I Wish You Would and until you actually order it and receive it you can listen to a sample right down below. HIGHLY RECOMMENDED. 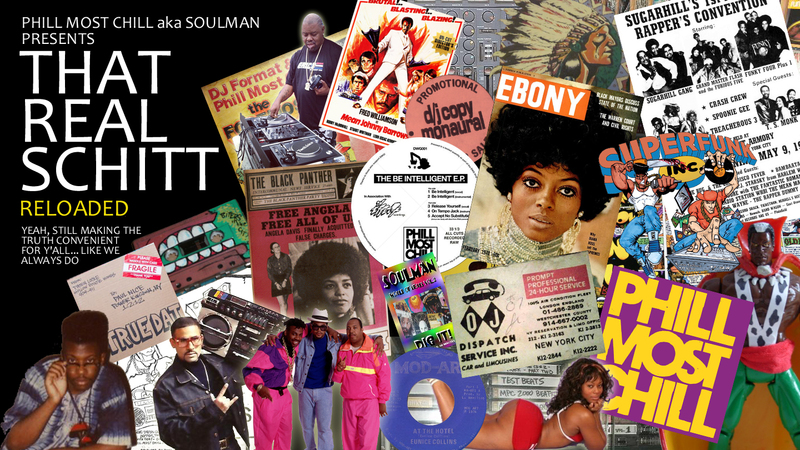 This entry was posted in digging in the crates, other people's break mixes, soul, sweet soul. Bookmark the permalink. In between the last Headphone Music post and the next one, the main thing I’ve been listening to is a fantastic mix by my guy Jared Boxx, formerly of The Sound Library record shoppe and now reppin’ Big City Records, NYC. This mix, entitled Thanks For Waiting, features some rare and ridiculously nice soul music- I guess the kind that most people today would call modern soul or boogie or whatever. Me, I’m from back in the days when that soul actually was modern so I don’t know nuthin’ about those particular monikers… it’s just soul or R&B to me. But you know how it goes, a rose by any other name yadda yadda. 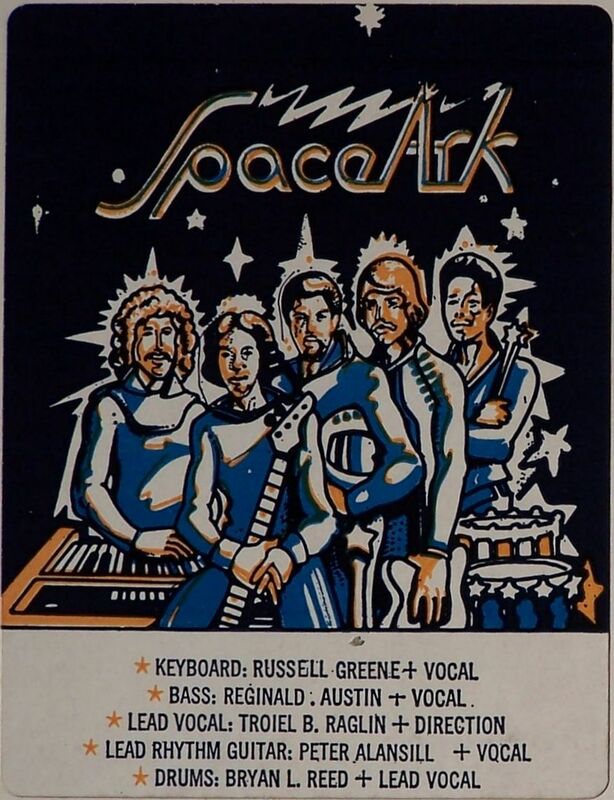 Anyway, one of my favorite joints out of many on Jared’s mix is by an obscure group out of Cali named Spaceark. I could type out a quick bio on them, but you know I’m not going to go to the trouble to do that. But I will do something even better and link you to this site that will tell you just about everything you could ever want to know about the group. But back to the song, “Welcome To My Door”… this might be on my list of all time favorite songs (I probably have over 10,000 tunes on said list so I don’t know how special that designation really is). It’s basically a song about hitting the pipe- I assume a pipe full of weed since this is from back in the 70’s and not the crackpipe era of the 80’s, but who really knows what the hell Spaceark was tokin’ on even back in 1978. Regardless, just as Troy Raglin sings it, this jam has me “feelin’ fine all the time”. 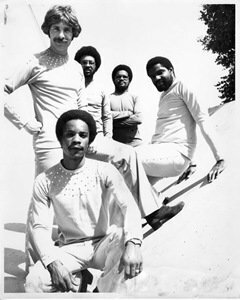 This entry was posted in digging in the crates, other people's break mixes, rare groove, record shoppes, records, soul. Bookmark the permalink. Gangstarr – The Ownerz lp – I remember being fairly disappointed with this record when it first dropped, but it seems to have aged pretty nicely IMO. If you’re like me and weren’t really feelin’ this back when it came out, I’d recommend revisiting it. Some of this schitt is straight bangin’, like WTF was I thinkin’ back in 2003 or whenever. Sparkle Motion – Flight School Vol. 1 – 80’s R&B breaks mix by DJ Yoda and my man Tobes from Spinemagazine… real innovative idea and lots of hot Jheri curl juice beats! Download that schitt, it’s dope. Slick Rick & Dougie Fresh at Lincoln Projects, 1984 – this was one of my favorite tapes back in the days… “Vanessa Williams” ftw! Now if I could just get a copy of the Davy Crockett schitt my life would be complete. Treacherous Three – 1978 (live tape)- Troy L. Smith (the old school tape G.O.A.T.) does it again! Kool Moe Dee & LA Sunshine sound like kids on this (I guess because they pretty much were kids). You can d/l that and other old school live joints that Troy was nice enough to bestow on the populace over at the Old School Hip Hop forum – most definitely the place to be (you have to be registered to get to the trading section, which is where the magic happens). KRS-One – Adventures In Emceeing lp – Kris has recorded a lot of stuff in the 2000’s that most people probably don’t even know about, but I like a lot of the latter day KRS material. He still can rap circles around damn near everybody, and whether you agree with what he’s saying or not you gotta respect a man who tries to put out thought provoking music (but, of course, this is teh ringtone rap age where thought provoking music seems to be the LAST thing that people want… oops, let me stop before somebody calls me old lololol lulllz lmfao smh). Ghostface Killah – Iron Man – I have yet to tire of Starks in his prime. V.A. – Walk On By and Look Of Love comps by Raymun – I downloaded this schitt off of Soulseek, two homemade comps with a lot of versions of these two songs that I guess were put together by this dude Raymun. Well, I got STARTED downloading them- about four songs into the Look Of Love folder this muthaf***a decided to ban me! For no good reason! So I’m puttin’ you on blast just to strike a blow for all Soulseekers who have been banned from downloading without cause- that’s that wack schitt, homie. This entry was posted in digging in the crates, lists, old school rap, old school rap live, other people's break mixes, real schitt. Bookmark the permalink. What’s good… I’m back, at long last, doing what I do best- anointing y’alls azzes with a healthy dose of THAT REAL SCHITT. I am once again well physically… not so sure about the mentally part, but I guess some things are beyond even modern medicine. I am still dealing with external hard drive issues that are hampering my ability to bust ya schitt with extra-heavyweight blogposts, but you KNOW I can’t be stopped entirely. I may or may not recover what was lost on that drive, but I still got plenty of stuff to hit you with. Case in point: for my comeback post, I dug through my break mix collection and came out with the full L.Dula arsenal. L.Dula… now, that’s my guy right there. Brothers from other mothers, no doubt. There are a lot of dudes putting out some damn nice mixes these days (seems like only yesterday when there was merely a few of us, relatively speaking), but for my pesos Dula is one of the nicest. He’s like me, seems like he will play ANY damn thing. Fearless with that schitt. So what if it’s not some ol’ boogaloo breakdown funky chicken schitt… if it sounds good to you, PLAY IT. EZ listening, obscure mellowed out hippy rock, jazz covers of soul songs, stuff that you can’t even really place a genre tag on- son will hit any and ALL of it. 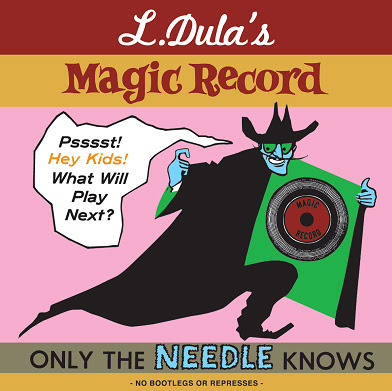 Inspiration for this post was the latest L.Dula offering, “The Need To Calm”, a double cd killer. 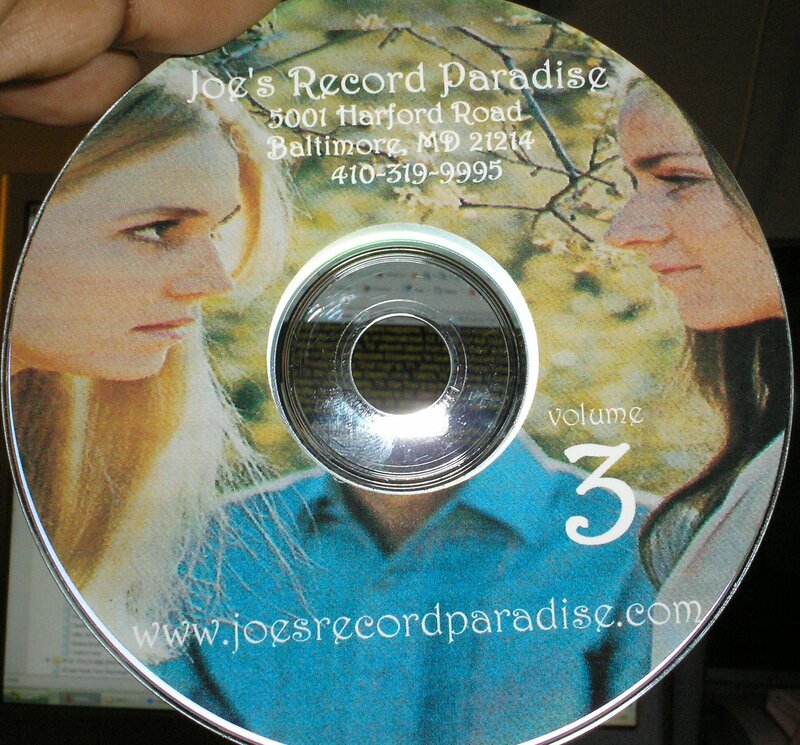 You know you’re really diggin’ a cd when you just can’t get it out of your head, and that’s how that joint was for me. At least six cuts on there had me constantly hitting the rewind button, man. And that’s just cd one… I haven’t even had a chance to get into the second cd yet. This entry was posted in digging in the crates, other people's break mixes, rare groove. Bookmark the permalink.